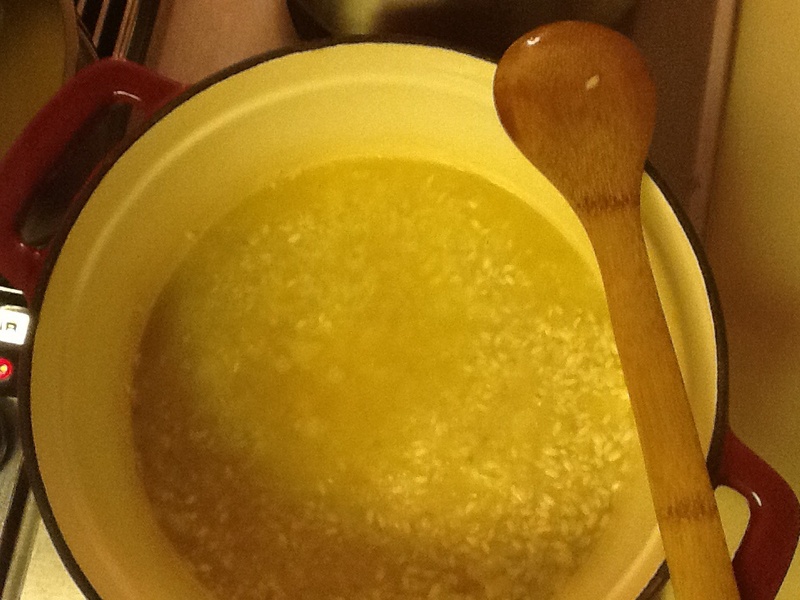 Add one ladle of heated chicken broth at a time to the rice at a time, stirring constantly until the liquid is absorbed. Repeat this for 20 minutes. 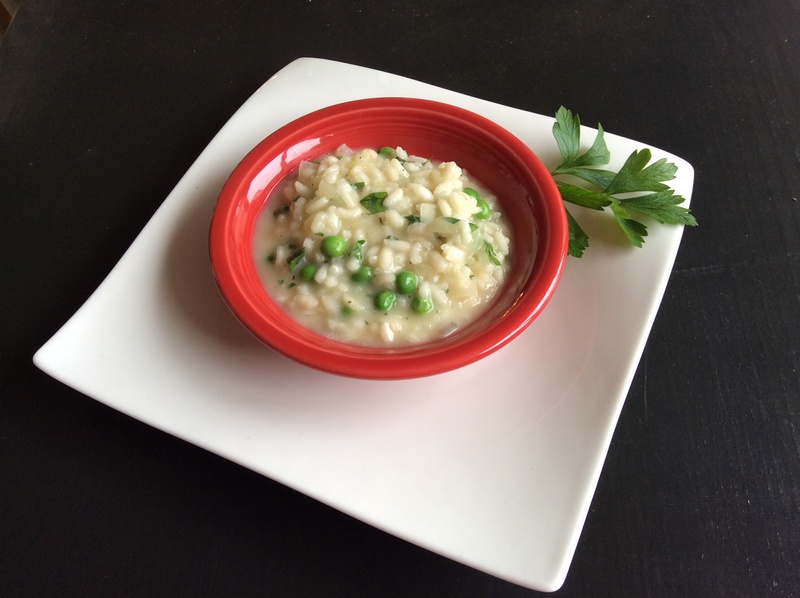 Rice should simmer but not boil on medium heat. Don’t walk away, this step takes constant attention. After 20 minutes taste the rice. It should be soft, not crunchy. Serve as a side or add pork, chicken, shrimp or lobster as a main dish! 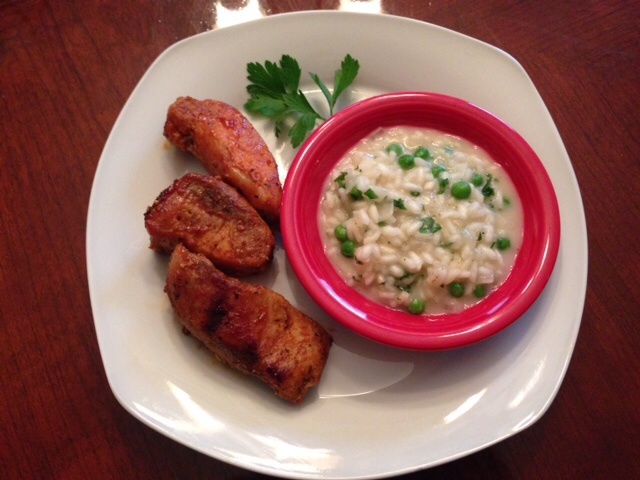 This entry was posted in Appetizer, Recipes and tagged Arborio rice, risotto, Risotto with peas. Bookmark the permalink.